Find unique gift options at the George Washington University Museum and The Textile Museum. The George Washington University Museum and The Textile Museum shop is located on G and 21st streets. Mother’s Day is days away. Time to find a great gift for mom is running out. Luckily, the shop at the George Washington University Museum and The Textile Museum stocks jewelry, home décor and accessories that are as eye-catching as exhibition objects—and it’s right in the heart of GW’s Foggy Bottom Campus. The majority of items are not only sustainable but also made using cool, artistic processes bound to impress. George Washington Today browsed the shop with Director of Retail Operations Chabrina Williams, who pointed out a variety of gift options available in time for May 10. The shop is open from 11:30 a.m. to 6:30 p.m on Mondays, Wednesdays, Thursdays and Fridays; from 10 a.m. to 5 p.m. on Saturdays; and 1 p.m. to 5 p.m. on Sundays. 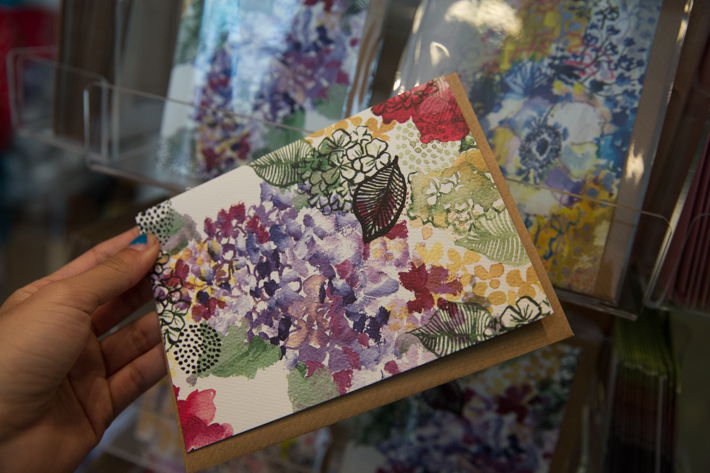 Handmade cards, $5, $6: Personalize your gift with a message written on one of the museum shop’s artsy cards. The store carries hand-blocked designs by Katharine Watson, a printmaker and former intern at The Textile Museum. If mom is allergic to flowers, Ms. Williams says that Little Branch’s watercolor- and drawing-inspired images of beautiful blossoms (above) are as nice as the real thing. Handmade soaps, $10: These small tokens of your love for ma come embellished with adorable designs and trimmings. 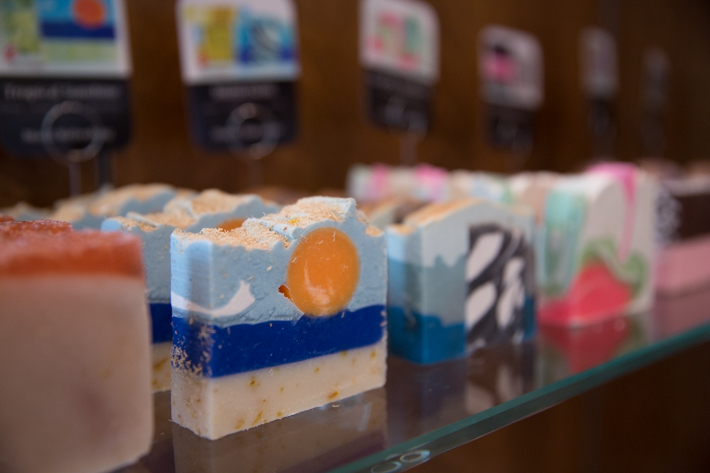 Each bar is handcrafted, vegan and made preservative-free for a gentle lather—although, they are so pretty, your mom may want to skip the suds completely and use them as bathroom décor. Earrings, $24-$26: Looking for bling? The shop carries a huge assortment of jewelry in all different price ranges and styles. 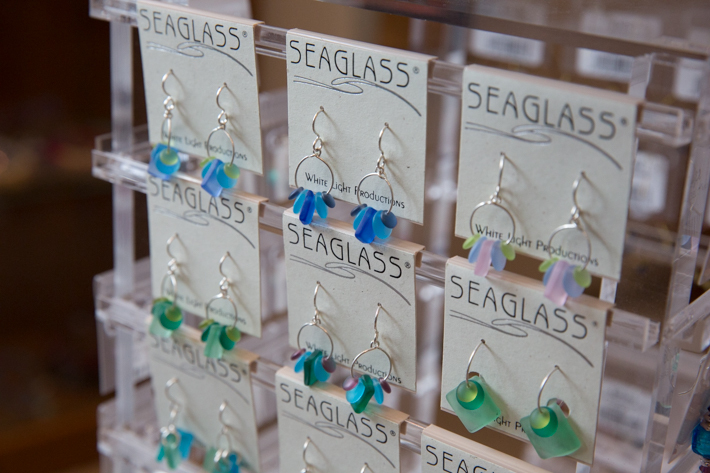 An understated option from Seaglass features delicate beads in light, dreamy colors (above). 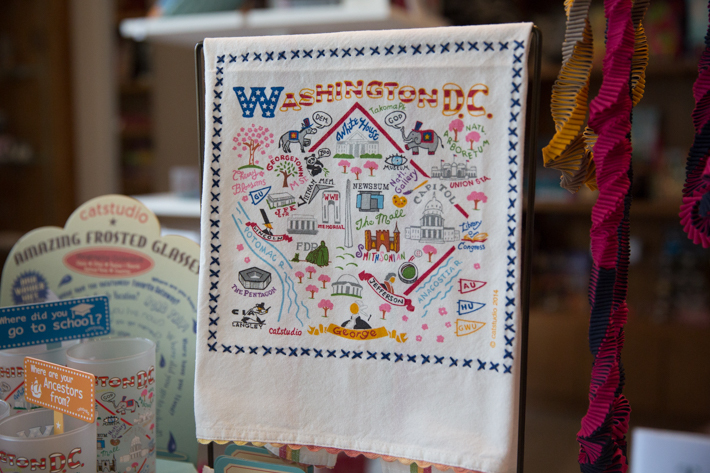 D.C. dishtowels, $24: Add a little Washington memento to mom’s kitchen with handmade towels from northern California’s Cat Studio. The illustration of the nation’s capital is silk-screened and boasts detailed hand embroidery. 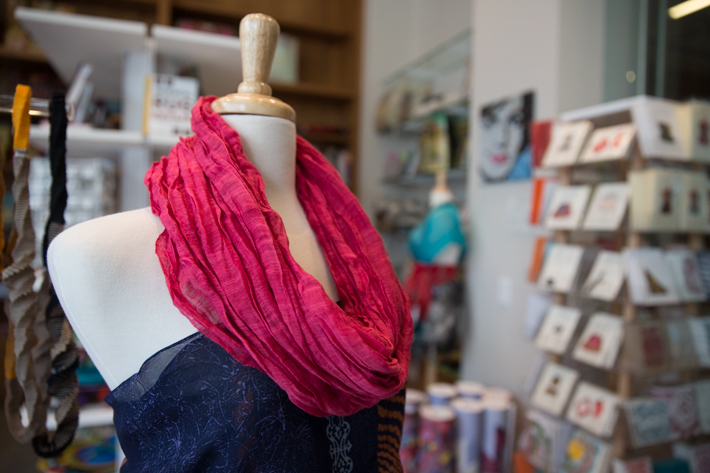 Infinity scarf from Vietnam, $28: Present your mom with a splash of color by gifting her with one of the shop’s vibrant infinity scarves. Hand-woven in Vietnam, the fair-trade fabrics are half cotton and half silk, and they come in a rainbow of hues. 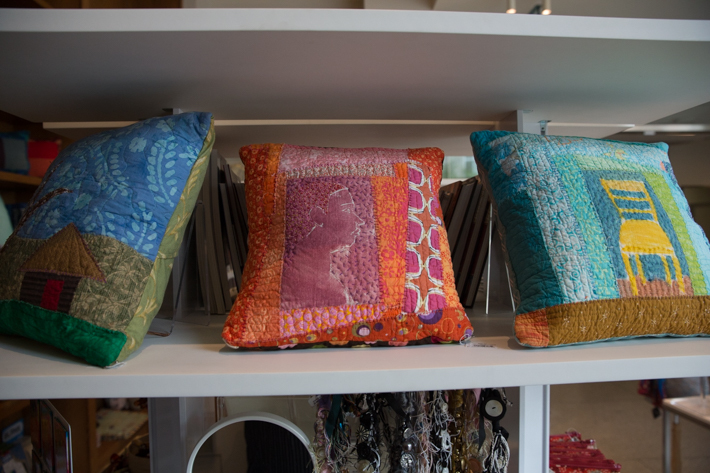 Cynthia Gossage pillows, $50: Local fiber artist Cynthia Gossage quilts one-of-a-kind throw pillows from her Hyattsville home. Ms. Gossage handcrafts each piece to make a completely unique aesthetic, leaving mom with pillows that are as creative as they are comfy. Shoulder purse from Guatemala, $85: For a gift with a bit of history, Ms. Williams suggests checking out these Guatemalan shoulder bags. They are made from huipil, a common traditional garment worn by indigenous women in Latin America. 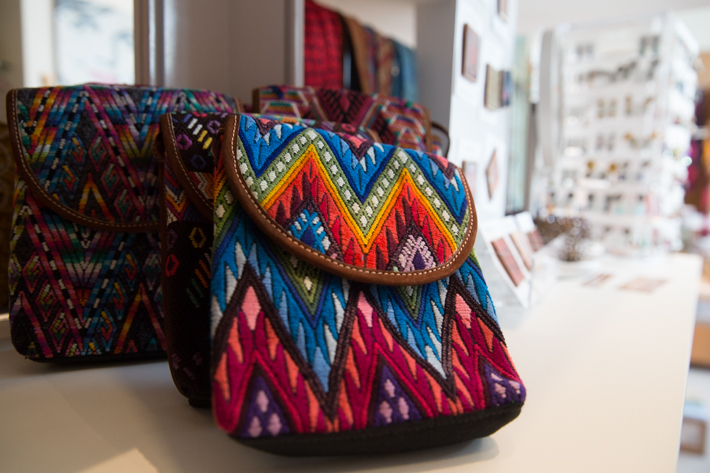 The brightly colored fabrics are recycled and remade into purses sure to draw attention.